It’s time for a new Runway Inspired Challenge, and we have the sweet and super talented Iwona Palamountain joining us as our Guest Designer!! The first thing I noticed was the skirt. It looked like embossed metal to me! So I decided to use embossed foil paper. I made my own foil paper by adhering aluminum foil to white card stock and then embossed it with a Cuttlebug embossing folder. 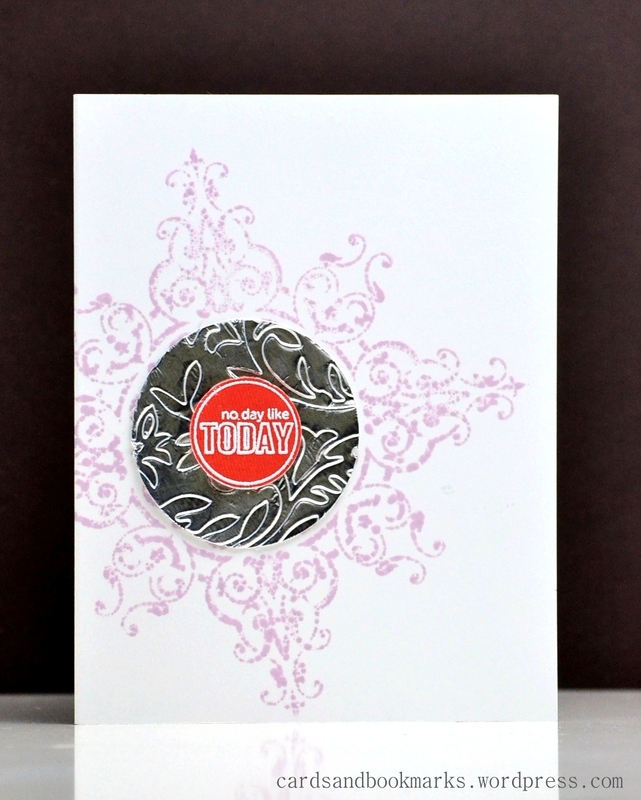 As you can see, I cut a circle out of the embossed foil paper and covered the center part of the ornament. While wondering where should the sentiment go, I noticed the circular sentiment from mama elephant. Good thing I did, for I don’t know where else I would have put a sentiment. It is embossed in white on bright orange paper. This week’s sponsor is Ellen Hutson, and the winner will get a $25 gift certificate to her online store! So make sure to play along! You make it so chic and beautiful!! LOVE! Love the look of the embossed foil!! Great design! Great take on the inspiration picture. Totally appropriate! The skirt does look like metal, and it is so cool that you used embossed foil. It has such fabulous texture! You always have the most clever ideas! I love the embossed foil, and the off-center design! 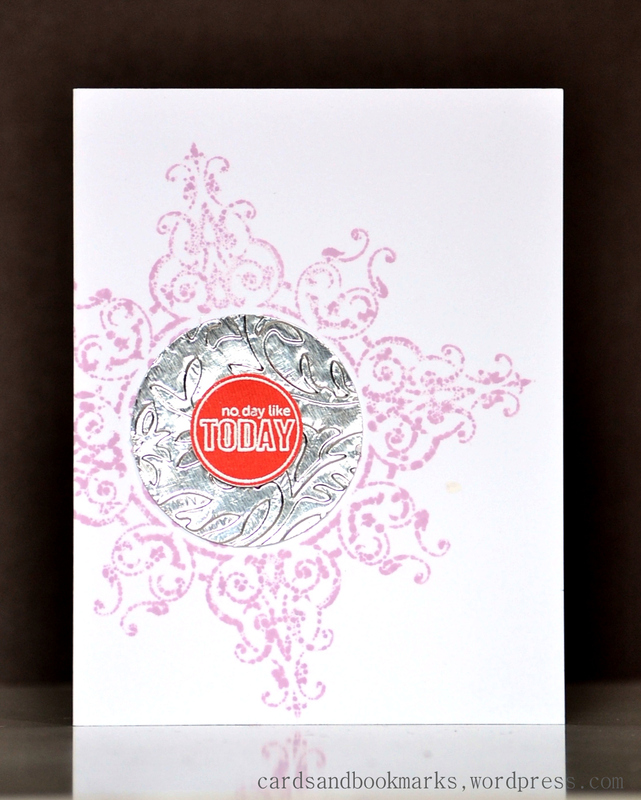 I loved your foil technique…lovely card! !